Andrew presents the original cleaning and maintenance instructions for the human body. He demonstrates how the four ‘distilled waters’ ( all machine-made distilled waters [distillers, evaporators, condensers, solar distillers, air wells, fog fences and dew ponds], all sky distilled waters[rain, mist, snow, dew and fog], all body distilled waters [saliva, plasma, amniotic fluid, urine and breast milk] and all plant distilled waters [raw fruit and vegetable juices]) clean the body. He shines light on the dis-information campaign designed to obfuscate the truth regarding this knowledge. -What does distilled water do to the body? A thread from 2010 I started… With loads of info collated. Your shows are interesting. Now I’m drinking urine, distilled water sulphur, aloe ferox as well as turpentine. What’s next? I’ll be purchasing a distiller soon. Will let you know how I feel. Wow, another great show. Thank you Andrew, I think you turned me into a believer. I too had misconceptions about distilled water. A caller pointed out how well he was feeling by adding salt to his diet. Yet Andrew Norton Weber claimed he was having ‘detox’ reactions. Sheesh … there’s no convincing some people when they get into a tirade against a compound known to be essential to life. Where do you find these nuts? I agree. I don’t believe a word he said. He sounds like a disinformer, maybe 80% truth 20% lies. People need to be careful and research things for themselves. It should be stressed that this is only ONE man’s opinion. Thanks Gloria. Re. salt: I don’t think we get enough in our diet; even wild animals partake of human-provided salt licks. Re. distilled water: this is not an element of nature; our traditional waters from river, spring or well are a mélange. Re. consuming urine or feces: why would we want to re-introduce waste products passed by our sophisticated elimination mechanisms evolved over millenia? Use common sense, not the advice of some amateur with a loud voice and an unscientific agenda. He said a mouthful ~ I have been drinking distilled water for years now and the calcification in my whole body has decreased at least 80% if not more ~ I have also been through the emotional distiller for a little over a year now and true clarity is the result. The vegetables from my yard are salty! Yes, agree, the salts should come from well mineralized, high brix, nutrient dense, biologically grown fruits and vegetables…of which are extremely hard to find..so a bit of rock salt is a temporary less than ideal solution but perhaps better than no salt at all. I think this guy has a deep understanding of higher level healthy living. There are many levels of health to live..we get to choose. This was a very interesting show. I’ve been drinking distilled water, and now will be doing more. I love salt, but will be cutting back. He made a lot of sense. I agree about the people with the biggest influence also being controlled. I just really enjoyed this program. Thanx, Patrick. Hope you are feeling better, and I’ve been praying for you. Patrick Timpone, I applaud you for not being afraid to discuss urine therapy on your show. Many people, even in the alternative health field, are deathly afraid to discuss this life saving modality. the stuff about distilled water having applications for detoxifying and decalcification the body (even the spell check program claims that there’s no such word as ‘decalcification, which supports Andrew’s contention that the PTB don’t want people even THINKING about this stuff) is very interesting. 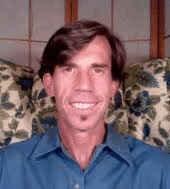 PEople are desperate for a solution and for things to start making more sense, so when a guru like Andrew Webber comes forward offering hope, it is really hard not to like what he’s saying. Even meat would contain sort of pure water if you think about it, meat is a very high % of water itself, like the human body. So a diet of mostly meat, fruit/greens/veg. and rain water for example would be high in pure water full of organic bioavailable minerals. I’m going to give distilled water more of a go (the grocery store which I buy my big blue five gallon bottles of water at carries both distilled and spring water in the same blue jugs, but it seems the distilled water is often sold out, plus when it WAS available I would alternate between distilled water and spring water, not sure which was best. After hearing Andrew Webber on a couple of shows it really seems worth going with distilled water for awhile to see what happens.